I went out yesterday evening to do evening chores, and on the way I saw a doe with her newborn fawn behind her. 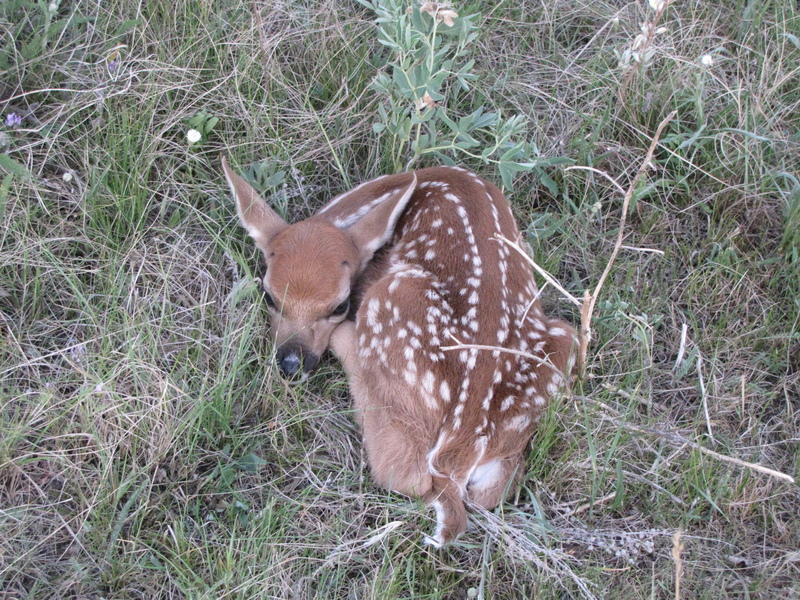 As soon as the mother saw me she fled, and the fawn dropped to the ground like a rock, on instinct. I have seen fawns many times in my life, and I never get tired of seeing them, it’s one thing I look so forward to seeing in the Spring. Each year, my brothers, dad, and I have a competition to see who can see the first fawn of the year, and this year I’m the winner! 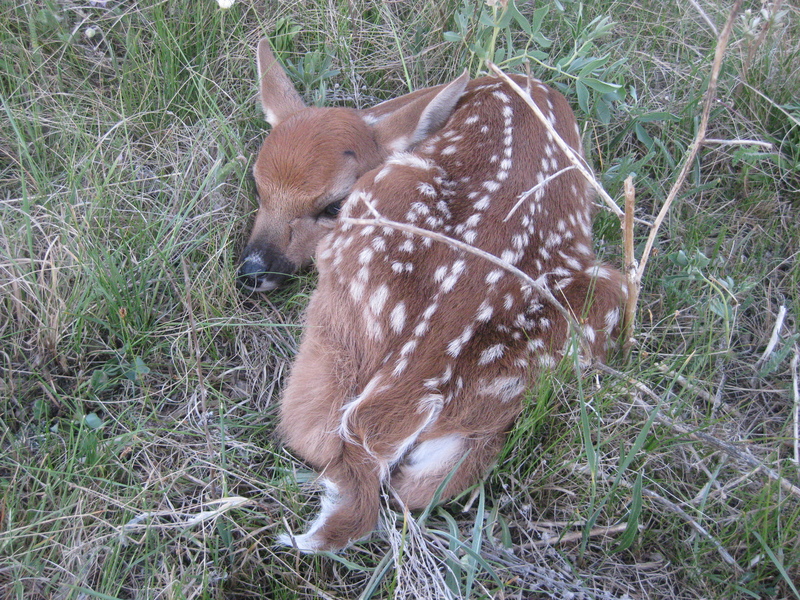 This entry was posted in Alberta Animals, Farm life and tagged Deer, Fawn. Bookmark the permalink. That’s fascinating- and what a great photo opportunity! I was so excited when I found the fawn, but I think the fawn was terrified!